Annapolis, MD – September 8, 2015 – NIC's Maryland subsidiary, the State of Maryland's eGov Services Partner, has earned the prestigious Best Fit Integrator Award by eRepublic's Center for Digital Government. The award honors exceptional private-sector technology partners that tailor solutions to meet the unique needs of government. NIC Maryland was one of only seven companies nationally to receive the coveted award. Nominated by the Department of Business and Economic Development, NIC Maryland won the Collaboration Award for their role in developing the Maryland Central Business Licensing & Registration Portal (CBL) that has reduced the new business registration approval process from 10 weeks to one business day. The CBL Portal is a collaborative effort among NIC Maryland and five state departments that has processed more than 50,000 online filings with adoption rates among new businesses of nearly 70 percent. "Our team at NIC Maryland is honored to be nominated by our Maryland partner and to accept the Best Fit Integrator Award from the Center for Digital Government. Through this public-private partnership, we've developed an integrated one-stop business filing solution to make it easier and faster to start a new business in our state. We look forward to our continued partnership with the state of Maryland and thank all those involved in this initiative," said Janet Grard, President and General Manager of NIC Maryland. The Central Business Licensing and Registration Portal is a one-stop business portal that streamlines the new registration and filing process for business owners. Prior to the online portal, starting a new business required a visit to multiple agencies to file paperwork. Now, owners can create legal entities, obtain certified copies, file trade names, establish tax accounts and file annual personal property tax returns online through the portal. The CBL Portal was developed at no cost to the state under the Department of Information Technology's Self-Funded eGovernment Services master contract, with a market value of $1.4 million and a cost avoidance of $12.2 million for the state. The portal is available through the State's official website, www.maryland.gov or by visiting www.egov.maryland.gov/easy. The Central Business Licensing and Registration Portal is a collaborative effort between the Maryland Department of Information Technology, the Maryland Department of Business and Economic Development, the Comptroller of Maryland and the Maryland State Department of Assessments and Taxation. 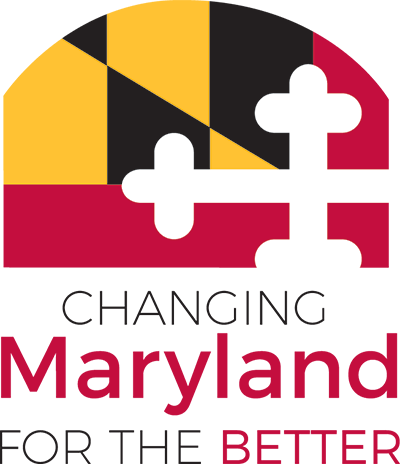 The CBL Portal was developed at no charge for the State of Maryland by NIC Maryland, through the self-funded eGovernment services contract with the State Department of Information Technology (DoIT).